This bold knife-edged ring in brightly polished platinum, rises up to a dramatic peak where a brilliant-cut diamond sits, perched above crisp lines of pave′-set diamonds. 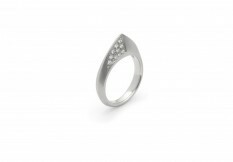 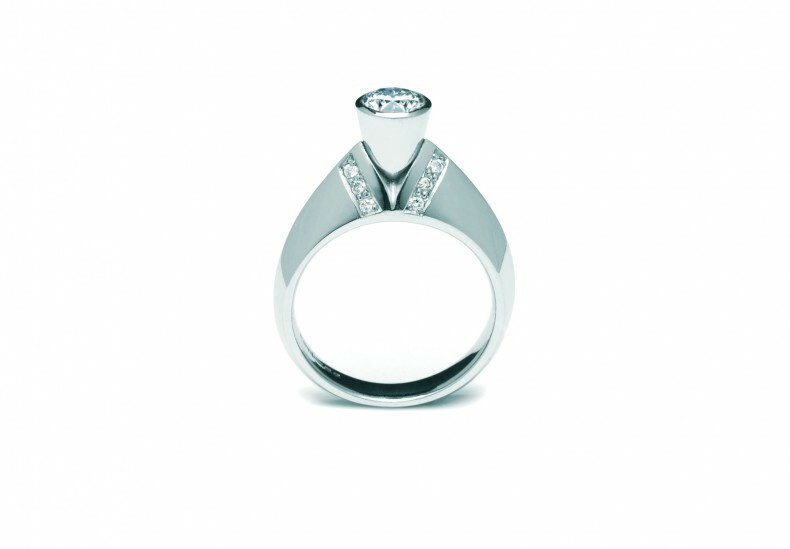 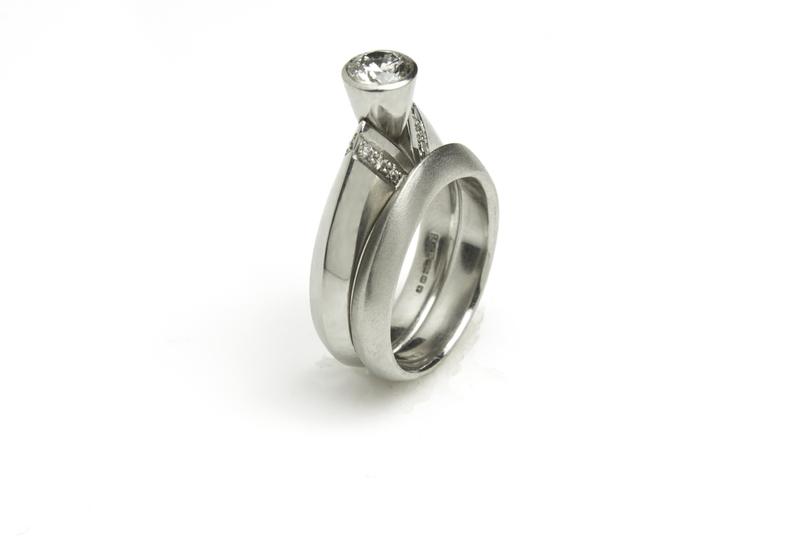 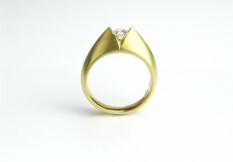 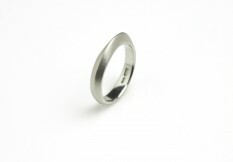 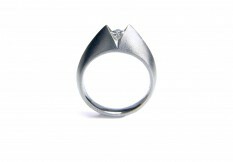 Adding the matching plain ring, in either a matt or polished finish, completes a striking pair if desired. 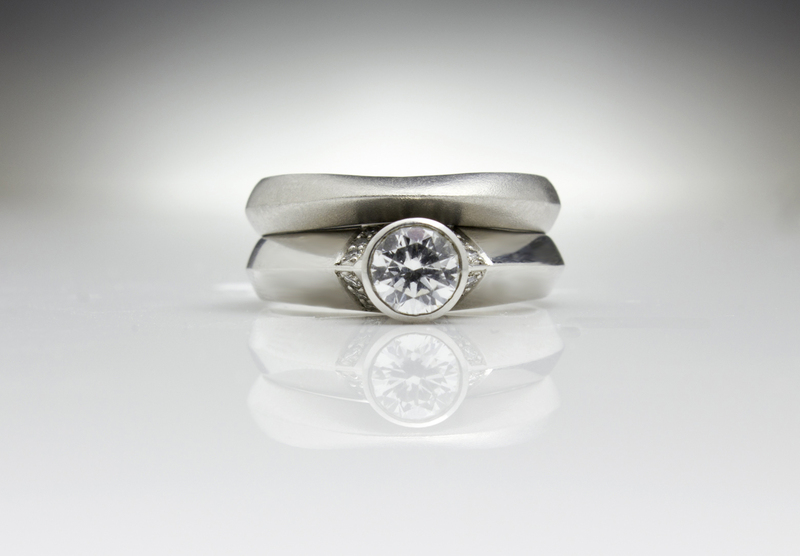 Shown here: Platinum and diamonds.